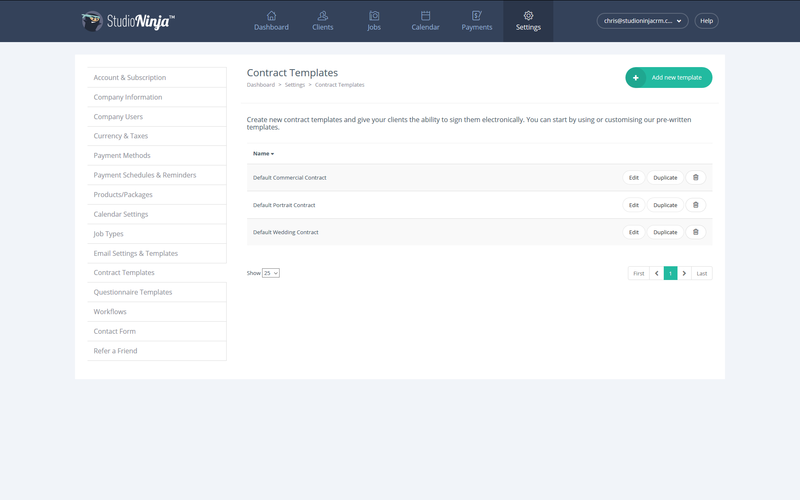 Learn how to create, edit and remove contract templates. This is where you create, edit and delete your contracts. Once set up, you can send contracts to your clients via a job. You can send contracts independently, or you can include a contract with an invoice or quote. 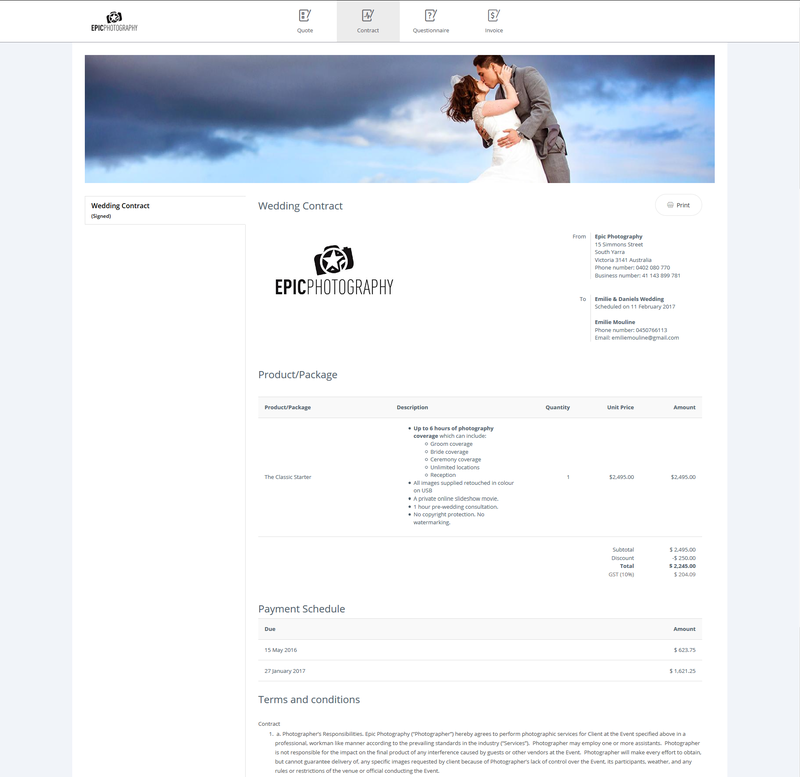 Contracts are signed electronically via the client portal. If you've enabled GDPR, you can also create consent statements here. IMPORTANT: If you copy/paste a large volume of text into Studio Ninja please paste the text into notepad first to strip away any previous formatting. Then copy/paste your text from notepad into the Studio Ninja contract. When you send a contract in Studio Ninja, all the client and job information already appears in the contract header so there is no need to add additional variables. When you send a contract that is linked to an invoice or quote, the product / package details and payment schedule also appear on the contract.